A comparison of different attributes of textit is reviewed and compared with other Australian SMS gateway providers. The review indicates that textit has a lower rating on features covering pricing, reliability and customer service. Unlike many other providers, there are no clients examples provided of using textit SMS gateway network system. There is no physical office and no guarantees provided unlike many of the other text message gateway providers. Based on this reputation score compared to other SMS gateway providers it was rated lower as shown below. Suitability of SMS Textit For Large Organisations? For many larger Australian organisations they demand unique requirements when determining the right SMS gateway provider. Reliability is one of the main features with the need to ensure text messages are delivered quickly, securely and through reliable carrier networks. Textit doesn’t advertise any up-time guarantee, neither does it explain their infrastructure capacity or what Australian compliance standards they meet. One of the most important factors in deciding to engage a SMS gateway provider like textit is the price range related to high SMS volumes. Compared to other comparable SMS gateway providers in Australia, their cost structure has a minimum charge of 10 cents (ex GST) for each text message over 50,000+ SMS for each month. For example, such pricing is over 100% more expensive than ClickSend and Wholesale SMS. For small volume of text message distribution, the charges are even more expensive compared to other gateway providers. Again, take the example of ClickSend offers 6.5 cents/SMS and WholesaleSMS pricing is 5.9 cents for 1000 to 10000 text messages over a month period. That’s a differential of around 60% more expensive. Overall, textit doesn’t target large Australian firms with their pricing schedule and based on their product offering it’s easy to understand why. 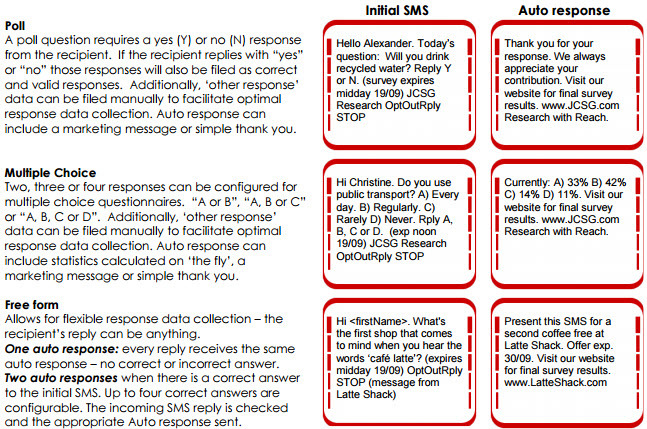 Our text message gateway table should be reviewed if you’re looking for such a provider for your larger organisation. Australian small to medium sized companies need an SMS gateway that is easy to manage. This is where textit excels with an easy to use platform, a support number and even a managed services option where they do all configurations for you. Their platform promotes a two-way communication process and the availability of an address book which can allow personalised messages to be sent and where the recipient can also respond. SMS charges appear transparent and cater for those looking for relatively small quantities each month. All providers (minus textit Live) cost $50 per month with a virtual mobile number (single-use) included. The textit SMS Gateway costs are higher than other SME specialist firms. There is a support number 1300 839 848 that focuses on providing SMEs with support and unlimited training to help setup SMS services. A basic Anti-Spam standards is evident in the system with an auto-OptOut functionality available to all senders. Additionally, there are a number of additional gateway services including poll, multiple choice and free form delivery. Overall, textit targets SMEs with suitable type features. The concerns are their prices, support and infrastructure which should be investigated first and compared to other gateway providers before signing up online. When dealing with SMS providers, one of the questions asked is the availability of their customer care service. In the case of textit, it does provide personal assistance when required by calling 1300 TEXTIT (839848) or email so you can discuss with someone who will help. They claim that their support is unlimited. There is no web chat or evidence of textit offered through their call centre and no physical office to support a customer service other than a phone number or email address, which states that it is open all the time. In terms of reliability, textit has no gateway server up-time details which means that there is no reference to any reliability distribution guarantees. There is also no Service Level Agreement (SLA) that furnishes the services of the network service provider with a customer within a given time period. Therefore there is no evidence provided on how the SLA is measured as a percentage of incoming calls that textit answers live in an certain time frame. Textit does not offer other features like direct API, forwarding or merging emails, and Outlook SMS. All these factors can influence the reliability of this provider. Therefore the rating is low compared to other gateway providers. With regard to compliance requirements, textit sets out in its website a number of compliance issues that both parties need to abide by. When using textit Auto Opt Out they recommend you end the message with the following: OptOut Rply STOP. It uses 16 characters and as well as cleaning your list, and will ensure you comply with the Spam Act 2003. The final criterion that was investigated between reputable SMS gateway providers in Australia was the online reviews about this company. There were few short statements by some companies about the service of textit but no detailed reviews of a range of clients or customers to make any form of judgement. No list of present clients is posted on the textit website. The independent review carried out found that both textit SMS reputation rated relatively low as compared to its competitors in the SMS gateway arena. This should raise some concern to potential clients and they would need to investigate this provider in more detail. Out of the all the gateway providers looked at, textit was considered to have the second lowest ranking in this category. The authors, who have worked in the SMS Gateway area for a number of years before moving on to other IT areas appreciate the difficulty when one has to compare SMS gateway providers’ features and services in Australia. With so many SMS providers concentrating on pricing, it is not the only issue and you need to compare the different features and services available. This comparison site is your opportunity to independently assess your needs and requirements prior to engaging a SMS Gateway provider of your preferred choice. The data collected and analysed from each website has been obtained manually and may alter due to the provider changes without prior notice, so please check prices and various gateway features. If you do find any information which may be not different from textit website or you consider information requiring updating, it would be appreciated if you could let the authors of this site know. Any alteration will then be made immediately.